Cold weather may be settling in, but bicycle touring season isn't over yet! 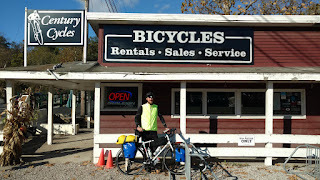 Yesterday, Jordan from Dayton stopped by the Century Cycles store in Peninsula while riding the Adventure Cycling Association Underground Railroad Bicycle Route. He started in Owen Sound, Ontario last Monday and is riding the route south. 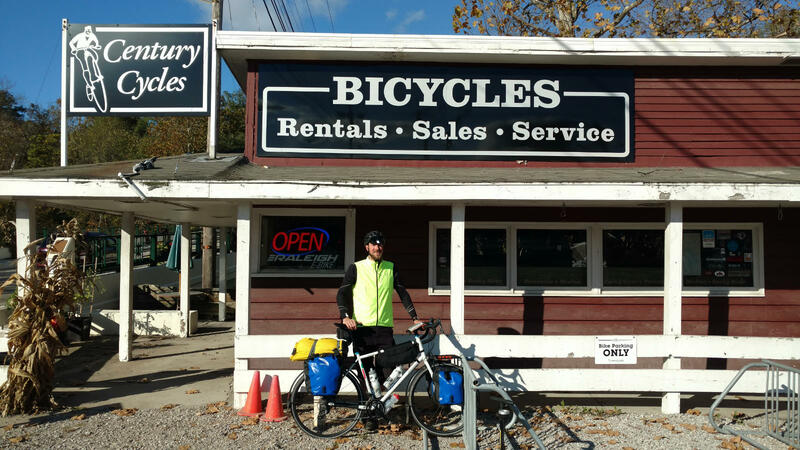 You can see more photos of long-distance bicycle tourists who have visited all three of our stores in our Bicycle Touring Photo Gallery. It was great to stop in and see you guys at the store. I finished the route on 11/16!